When we hear the name Martin Hudák, a picture of a smiley face, a smokey cocktail and an apron in camouflage colours, or a tuxedo in white come up. 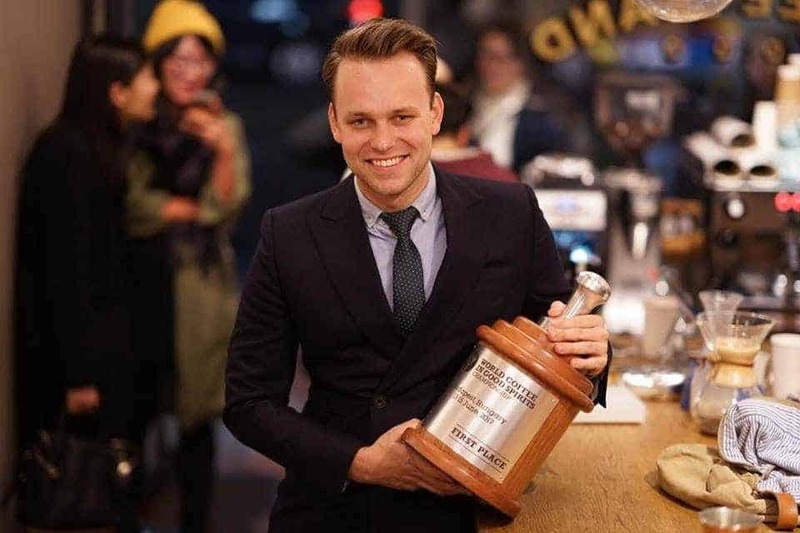 In 2017, Martin won the title of the World Coffee in Good Spirits Champion, a competition he took part in several times before winning it and embarking on a trip around the world. 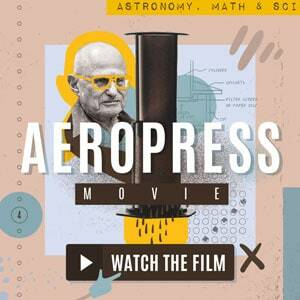 In his career of a barista and a bartender he has managed to combine both his love for coffee as well as alcohol. He is one of the biggest advocates of great hospitality. The smile is his best weapon, and so are great manners when it comes to serving his guests. 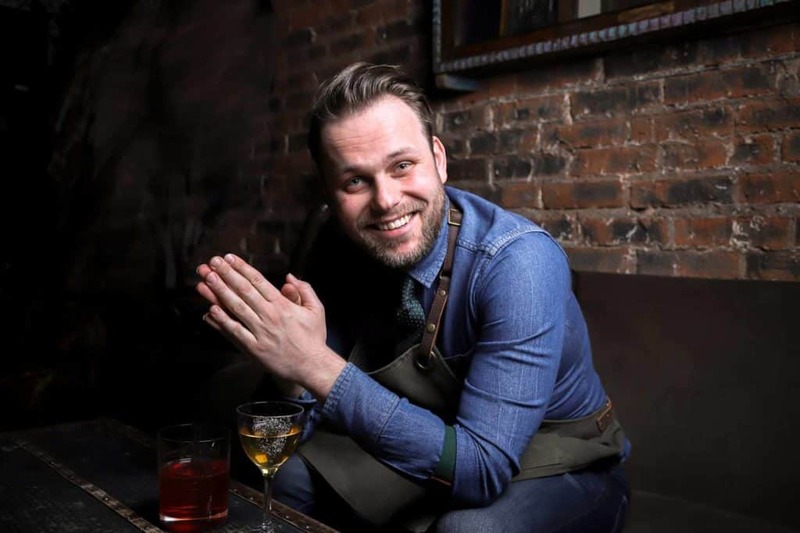 Meeting Martin over several occasions and seeing him talk with a great passion for the two industries and the hospitality that should be at the forefront of any bar, I am thrilled we can share this interview with you. Martin is currently busy touring the world—you could catch him in New York City right now—and we cannot wait to see where he will go next! Martin, where did your passion for mixology come from? First of all, I would like to say that I don't like the term mixology. For me, it's a whole pack of everything around the hospitality. 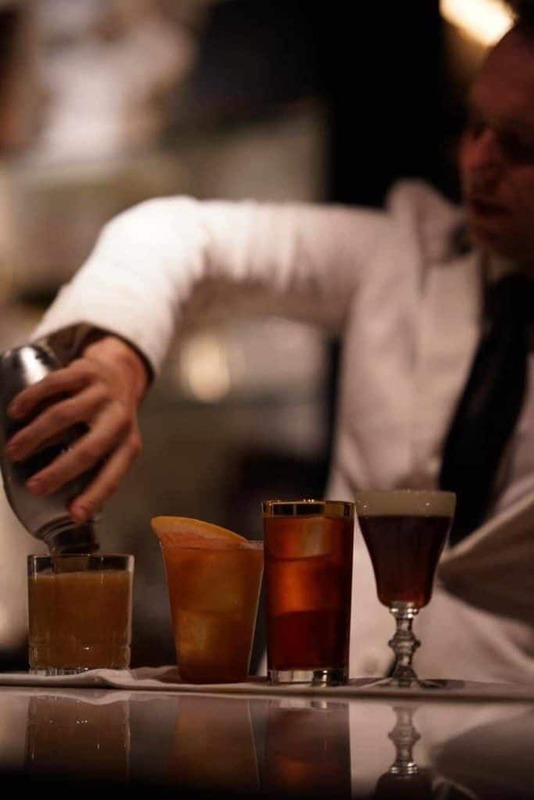 “Mixology” or ‘making and creating drinks' is just one small part of it. So my passion for hospitality was born during my studies at a Hotel Academy in my hometown [Prešov] in Slovakia. Not many people know that I graduated with a chef diploma but I don't know how to cook and I don't like kitchens. Being closed in one room full of heat is nothing for me, I like to be in front of everyone. People know you mostly from the London's American Bar at the Savoy Hotel. How did this role form you for your current plans and the coming future? Savoy is a magical place, a dream of every bartender and it was the same for me. Over three years in London changed me a lot and shaped me to be a better person and professional behind the counter. I learnt what real hospitality means and how to treat guests like royalty. Also, I learnt that it doesn't matter how good you think you are, your guest is going to always be more important than your success or ego. I'm more confident with myself and public speech and I have more industry friends and connections than before so that allowed me to spread my wings and enjoy my journey. 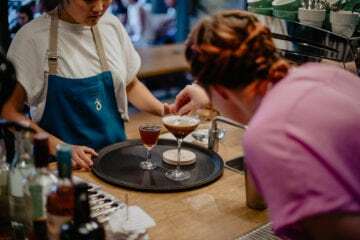 With your experience as both a barista and a bartender, what similarities and differences do you see between these two professions? The similarity is a passion for the craft. 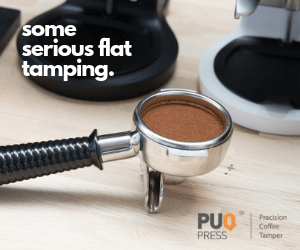 Both worlds are very passionate about their topics but sometimes coffee world and baristas are too geeky and nerdy and forgetting about genuine hospitality. I really don't see a big difference in one gram less or more for your blooming but I see a difference if you put your head up and greet me with a smile and a sparkle in your eyes instead of focusing so much on each gram or tds. At the end of the day, I'm going to like more your attention to me than to the product itself. 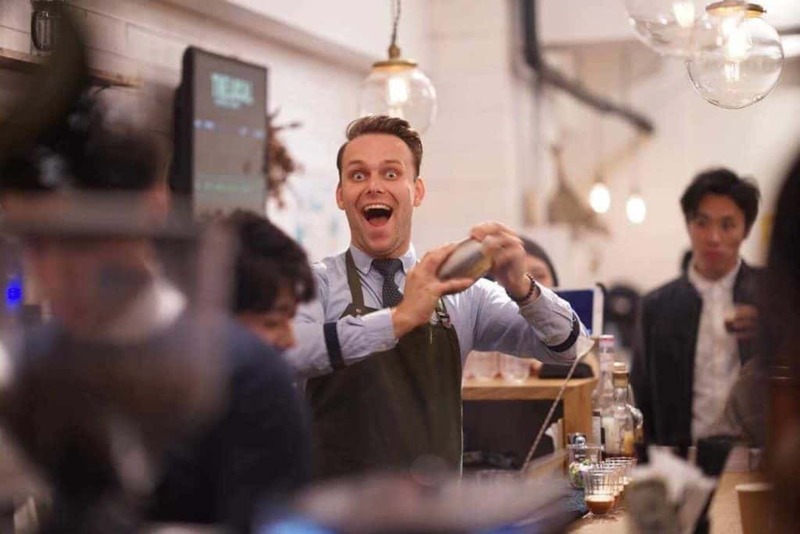 On the other hand, bartenders should learn to focus on measuring and the procedures which coffee world has, as well on the way baristas take care of origin and source. You are the World Coffee in Good Spirits Champion 2017. What did winning this title after many years in the competition circuit mean to you? That I can rest, haha. Joking … being the champion is not the end as many people may think, this is just the beginning of a whole new world. Seven years of trying to prove to myself that I can be better than I was yesterday, and then winning was a great satisfaction. 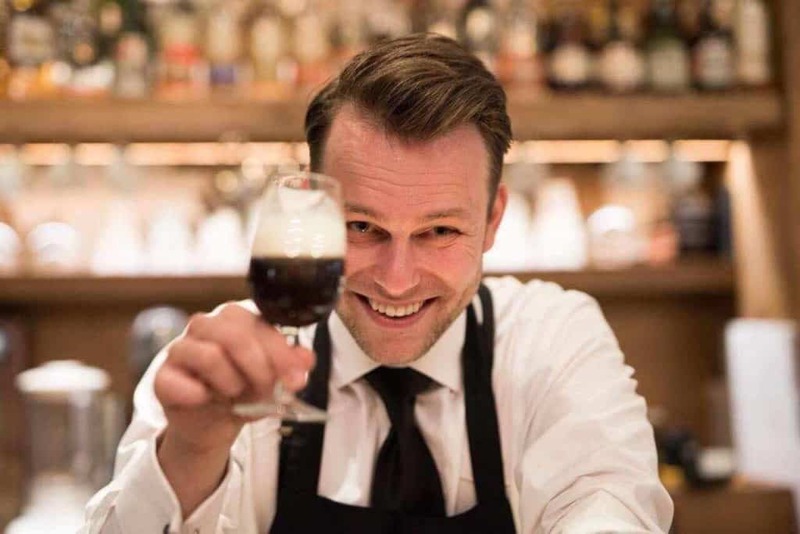 It means to me that coffee cocktails have a strong position in our industry and that professionals from different fields finally work together. 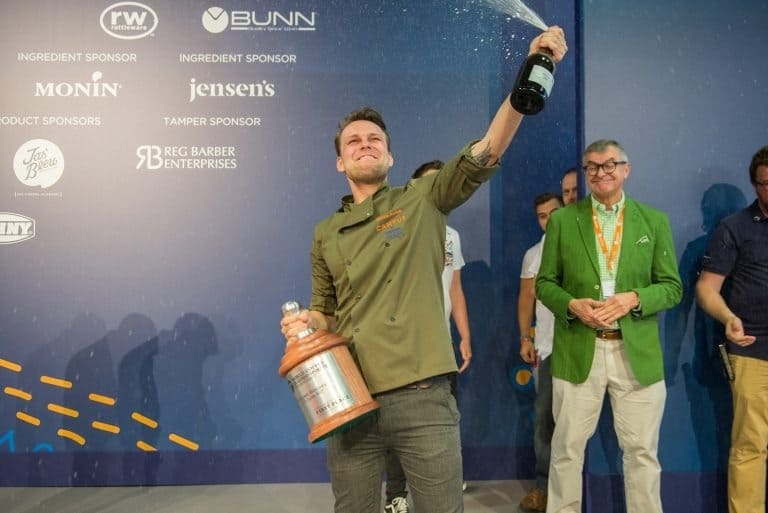 I can prove now to the whole world why I won and I can educate and help the others to achieve their dreams and goals and help them to create a good coffee cocktail program which guests will like and appreciate. What makes the perfect coffee cocktail for you? It's like gin&tonic – if 80% of your drink is tonic then it must be a good one. We focus too much on spirits and forget about coffee quality and origin. So for me, it all starts with coffee itself and then all ingredients around. 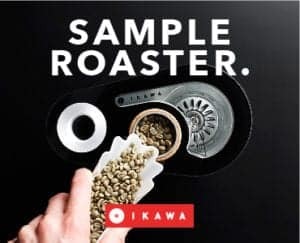 When I'm creating a coffee cocktail I want to achieve more dimensional taste where I'm trying to support coffee flavour with other ingredients. And of course, a good coffee cocktail is served with a smile. Are there any ingredients that are still challenging for you to use in coffee cocktails? Of course, many! And that is what I like so much… challenging myself, every day. I really wanna use vegetables in coffee cocktails more and I tried putting beetroot in my espresso martini recently and it worked. The next step will be tomato, parsnip and paprika. Oh, and I love mescal by itself but I want to combine natural smokiness with the coffee somehow as well. 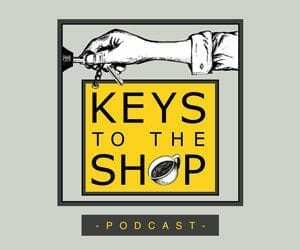 What would be the most important lesson you have learned or a piece of advice you would like to pass onto the young aspiring baristas and bartenders? Don't take yourself too seriously! Guests are here to enjoy your company and drinks are only a small part of that. Create moments and turn them into memories! Who do you consider as your mentors and what lessons did you learn from them? Robin Sharma – a leadership mentor and an inspiring writer which showed me through his books what really matter in our lives and how important is the present moment. 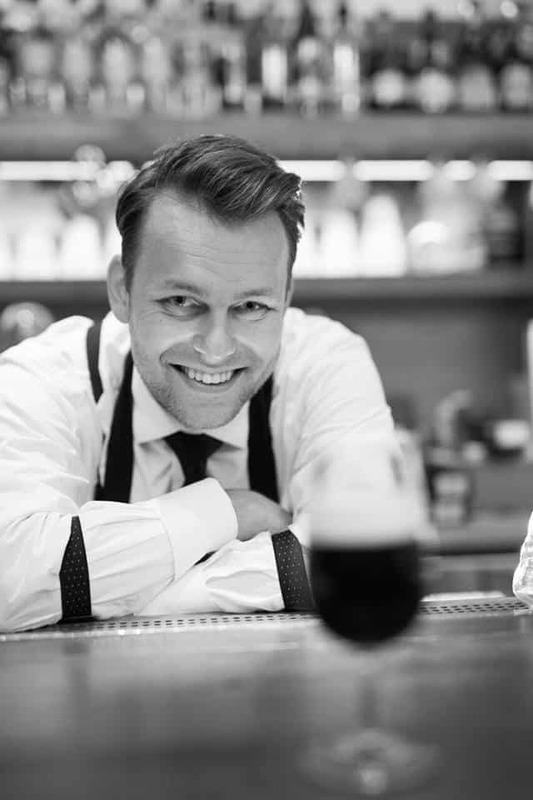 Erik Lorincz – a bartender and a personality with style and the best gentleman's manners which will make you feel like royalty. Spending three years with him was the best industry moment. My mum and dad – always reminding me how important it is to stay humble and down to earth, and that for them I'm not the global champion or a superstar but a beautiful son. What are some other talents and interests you have that we may not know about? I love music and I had a band for 4 years. I also entered one of the biggest music contests, Superstar, and I made it up to top 100 in Nationals (you can still find some videos on YouTube). I'm a big fan of history and books and I can spend all day at a museum. I also became vegan recently so do not invite me to a BBQ party or ask me to try your Irish coffee. I want learn how to surf and I want to buy a café racer bike and learn how to ride it. Only because I'm afraid of sea and speed and I want to challenge myself. 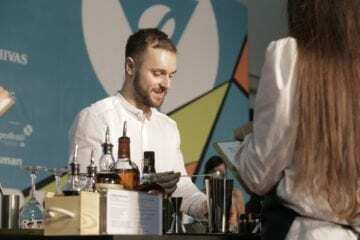 Where do you see the future of coffee cocktails? Ten years ago when I started with some simple coffee cocktail connections the scene was different. 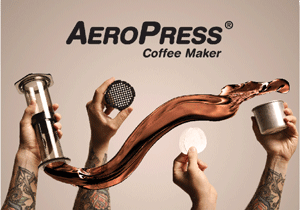 Nowadays, it is much easier to create and sell your coffee cocktails. Guests are more educated and they want to try new things. 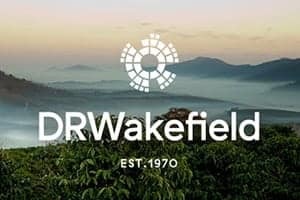 I think the future is bright and I cannot wait to witness more cocktail bars using quality coffee and at the same time cafes using good booze. 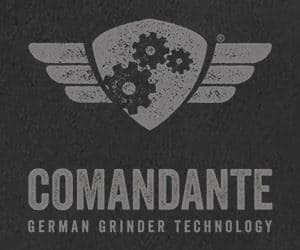 We will see more and more places leaving espresso martini styles and starting doing their own creations using cascara, flowers or chaf and implementing techniques such as fermentation or distillation. And speaking about the future, what is the future of Martin Hudak? Where can we see you in a year or five? Well, it's hard to tell at this moment because I'm waiting for some paperwork to get permission to move somewhere so I'm gonna keep it as a secret for now. But my goal is to be happy and make people happy whenever I'll be and take care more of my wellbeing, diet and body. Thank you for the interview, Martin. Follow Martin's journey and his future adventures.